Wealth Dynamix, a leading global client lifecycle management solution provider was recently accoladed the Best Integrated Front Office Solution with Microsoft Dynamics 365 by Asian Private Banker. 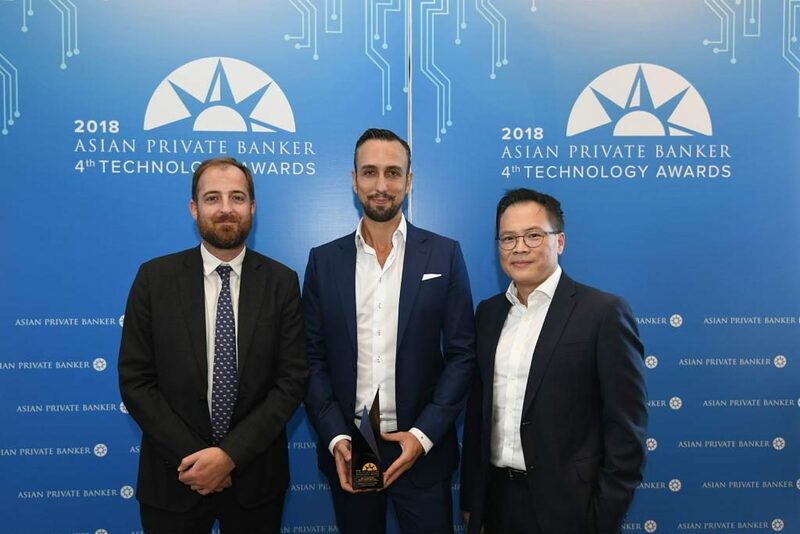 Since 2015, the Asian Private Banker Technology Awards has been celebrating the innovations and achievements of Asia’s rapidly growing financial technology sector every year. At the award luncheon held on 8 March 2019 at Tower Club Singapore, Wealth Dynamix Head of APAC, Dominic Gamble and Microsoft Dynamics Asia Director of Financial Services, Gabriel Chan went on stage to receive the trophies with a big smile. This is the first award in Asia for Wealth Dynamix with our partner, Microsoft. The solution, WDX One is recognized as the client lifecycle management solution where relationship managers are equipped with the tools they need to keep close with clients throughout the entire customer journey, from the first engagement to management after the clients are onboarded. Click here to a write up by Asian Private Banker on why Wealth Dynamix and Microsoft were awarded. With ongoing project deliveries, and conversations shared with wealth management institutions in the industry, the message is conclusive that a true end-to-end Client Lifecycle Management solution is foundational and powerful technology component in this digital world. And that is what Wealth Dynamix and Microsoft provide exactly – the efficiencies and growth opportunities is now possible through the likes of prospect engagement, digital onboarding, compliance servicing and work flow management, then become substantial and achievable.